At cutting edge physical therapy, our goal is to transform you not only physically, but emotionally and to empower you to be able to return to participate in activities that are important to your well being. Dr. Pauline White-De Freitas, PT, DPT of Cutting Edge Physical Therapy and Wellness has been practicing for over 11 years and is one of the best physical therapists in the West Palm Beach, Florida area. Physical Therapist are Movement Scientists, a Physical Therapist may be able to treat most of your muscle imbalances & to help you get back into the activities you enjoy. Try a Physical therapist if you are suffering from a movement dysfunction, it may change your life. Massage and Meditation are an important factor in developing a health mental and physical well being. Your body undergoes a lot of stress during work, working out and other activities. This stress is both physical and mental and with massage and meditation you can keep your body running and feeling smooth. Nutrition is a key element when trying to lose weight. With proper nutrition, proper fitness training you can achieve the look and feel you desire. We can help you achieve the weight and health you want. Your mental and physical well being depends on what you eat and the physical activity your body undergoes. 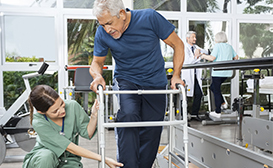 Therapeutic exercise involves instructing a patient in specific exercises to address..
Gait training is used by our Palm Beach physical therapists to help in improving a patient’s.. 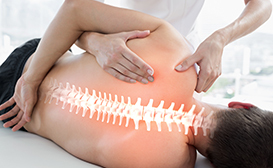 Cutting Edge Physical Therapy & Wellness, Inc. is a privately owned Physical Therapy practice. Therapeutic activities involves the use of functional, dynamic tasks from everyday.. Cutting Edge Physical Therapy and Wellness Inc. of Palm Beach. Aliments we treat..
Manual therapy used by Cutting Edge Physical Therapy of Palm Beach helps to manipulate..